More than that and in spite of being a distant cousin she was always in my life because she is also a very good family friend. Always around at parties and gatherings. Although I talk about Honey’s influence on me often I haven’t really had it sink in – the depth of that influence – until I heard of Honey’s passing this morning. Really, if I think about it, if I had not been given those family papers my interest in Genealogy and in Genetic Genealogy would not have been piqued. 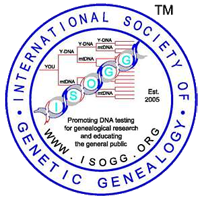 Today I have a growing Genetic Genealogy Business, I am an international Genetic Genealogy Lecturer and a leader at WikiTree. My second career is because of something Honey did for me when I was young. To say I wouldn’t be where I am today if not for Honey is an understatement. This passion I have for genealogy was introduced to me by my Grandmother. My cousin Honey gave me the tinder upon which to start a lifelong passion and a second career. Honey is one of the greatest influencers in my life and will continue to be one of the greatest influencers of my life.